The Kailash Mansarovar Yatra is one of the holiest pilgrimages for the Hindus, Buddhists, Jains and Bon. The holy lake and the mountain abode of Lord Shiva is a soul gratifying pilgrimage, the toughest in the world, navigating through the high altitudes of Himalayas. Every year pilgrims undertake the arduous Kailash Yatra to seek the blessing of Lord Shiva. As per mythology, circumambulation of Mount Kailash and then a holy dip in the Mansarovar Lake washes away sins of past 100 lives. It is also believed that taking a dip on full moon night is equivalent to 10 yatras. The 14 days Yatra to Kailash Mansarovar in Tibet is undertaken every year in the month of April. IndiaPilgrimTours.com offers all-inclusive Kailash Mansarovar Tour Package by luxury coach, taking care of your every need during the arduous journey. Our Kailash Mansarovar Yatra by Road also takes care of your accommodation, food, medical aid transportation. 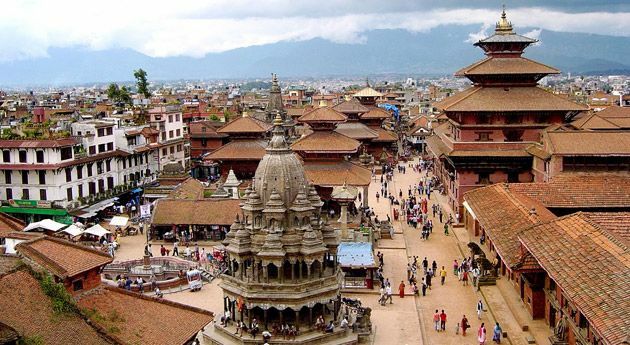 Set on the holy journey from Kathmandu and return to the city purified with the blessings of Lord Shiva. Check -out from the hotel in the early hours with a packed breakfast. The Yatra takes you by luxury coach to Galchhi -Sybrubeshito near China border. Rest overnight at the hotel. Start the drive from Syabrubeshi to China border, a 17 km journey. Our tour agent will complete all custom formalities and check into Tibet, an autonomous part of China. From the border drive 26 km to Kerung. Check-in to the Guest House and take rest overnight. Today the day is at leisure. Acclimatize to the heights or go exploring the Kerung city. Stay overnight. Post breakfasst proceed from Kerung to Saga / Dongba in your luxury coach. At arrival, you are checked in the Guesthouse. Rest for overnight. Start the day with a healthy breakfast. Check-out from your guesthouse and proceed to Dongba to Mansarovar. This journey by your luxury coach is of 7 hours through beautiful scenery of Himalayas. It is the first part of the Mansarovar Parikrama by vehicle. On reaching Mansarovar, you will be accommodated in the Guesthouse located on the banks of Mansarovar Lake. 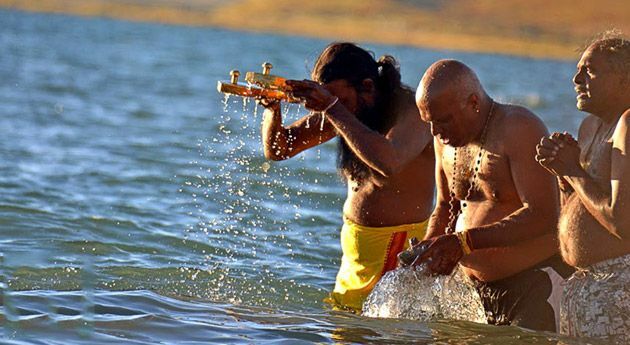 Today conduct your holy pilgrimage at the Mansarovar Lake. You will be taken to the special point at the banks of the Mansarovar Lake. Here you can take a dip in the blessed waters. Attend the Pooja, hawan and other spiritual activities according to your traditions. After your divine undertakings, proceed to Darchen a journey of 2.5 hours. Overnight stay is arranged at the Guesthouse. You can opt for the Astapad excursion at extra cost. Astapad means eight-steps. 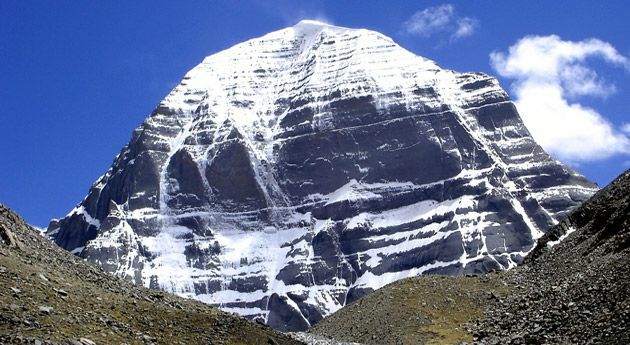 It is believed that, Mount Kailash is surrounded by eight smaller mountains, in a lotus shape with eight petals. This excursion is holy and an integral part of the Kailash Mansarovar Yatra. Today is the first day of Kailash Parikrama. The journey is to be started at the early hours of morning as early as possible, after having breakfast. Your luxury coach drives up to Yumdwari, after which you have an arduous trek for about 6 to 7 hours. Horse can be hired at extra cost for pilgrims unable to walk. Yaks will carry the kitchen utensils and other equipment for the Yatra. Overnight stay at mud house or tent is arranged in Diraphuk according to availability. This day is the most strenuous in the Yatra. Pilgrims pass through Dolma-La Pass on foot. Snuggled at the height of 5400 meters, the weather is highly unpredictable as at any time snowstorm occurs. Start the journey as early as possible, post breakfast. En-route, make a stop for Darshan of Gaurikund. On arriving Zhulthulphuk, overnight stay at mud house or tent is arranged on the basis of availability. Start the day with a leisurely breakfast. The yatra back to Katmandu starts. Tonight make a stop at Saga/ Dongba for overnight stay at guesthouse.